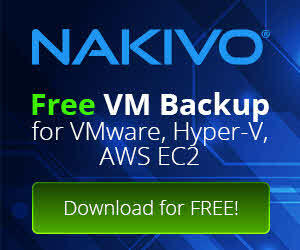 Virtualization Backup and Replication Solutions, VMware vSphere Backup and Replication Solutions, Hyper-V Backup and Replication Solutions. Vembu BDR Server is available as Windows setup file for download and also you can get it for Linux or as virtual appliance to deploying as virtual machine. But you have to ask the sell department to deliver it to you. Linux and virtual appliances are not available as public. This guide might be applicable for next versions and previous versions. Yesterday, Veeam has published cumulative hotfix for Veeam Backup and Replication 9.5 update 4. This update has some new platforms support and fixing more than 300 minor bugs and issues that reported by customers. VMware vSphere 6.7 U2 will be supported with this update. 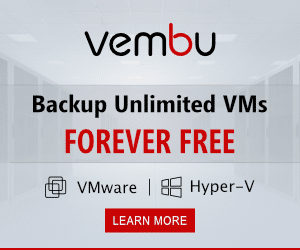 Vembu BDR Suite is one of most popular backup and replication software for virtual and physical environments. If you have read my previous post about Vembu products, you may know that Vembu BDR Suite supporting both VMware and Hyper-V virtual environments and physical environment as well as. Vembu BDR Suite 4.0 is now out for production setups with many new features, functionalities and performance enhancements. Veeam Backup & Replication 9.5 Update 4, part of Veeam Availability Suite, delivers Availability for ALL your virtual, physical and cloud-based workloads. Through a single management console, you can manage fast, flexible and reliable backup, recovery and replication of all your applications and data to eliminate legacy backup solutions forever. The following is a list of the major new features and functionalities added in Update 4.